Mixed bag on the Intercoastal! Skip and Randy caught several different species today on the intercoastal waterway. 6 redfish, 15 trout, 1 flounder, 4 stripers and 1 sheepshead!! Posted in Fishing Charter Pictures	| Comments Off on Mixed bag on the Intercoastal! Great day on the Water with a Wonderful Family! Great to see the young girls having such a great time. They caught a smorgasboard today!! Redfish, Black Drum, Speckled Trout, Sheepshead and Whiting!!! Posted in Fishing Charter Pictures	| Comments Off on Great day on the Water with a Wonderful Family! Fun Crew Catchin’ Reds and Trout at Indian Pass! A slow day but some quality redfish and trout at Indian Pass with a great crew! Posted in Fishing Charter Pictures	| Comments Off on Fun Crew Catchin’ Reds and Trout at Indian Pass! Great Bite at Indian Pass! Jason and Michelle were back for some redfish and trout action at Indian Pass today. The bite was unbelievable as they caught well over 50 trout and 25 plus redfish!! 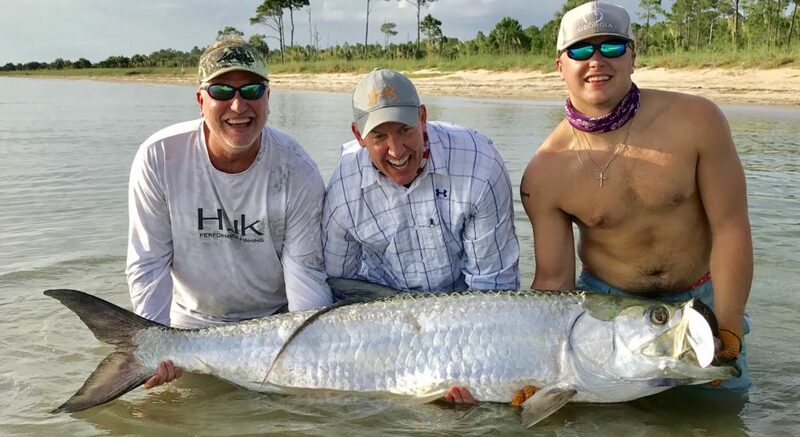 Posted in Fishing Charter Pictures	| Comments Off on Great Bite at Indian Pass! Cold Water Trout Bite is Hot!! With the colder water temperatures the speckled trout bite has been excellent. We caught tons of trout today and had 2 over 20 inches!! Posted in Fishing Charter Pictures	| Comments Off on Cold Water Trout Bite is Hot!! Incredible Day at Indian Pass!! Took my good friend Paul to the pass today and just wrecked ’em! We left the trout biting after catching close to 50 and slammed the reds with 20 plus!! Posted in Fishing Charter Pictures	| Tagged fishing charter, Indian Pass, Redfish, Speckled Trout	| Comments Off on Incredible Day at Indian Pass!! Big Reds and Nice Trout! Caught some beautiful redfish and trout with these Atlanta boys today!! Posted in Fishing Charter Pictures	| Tagged Redfish	| Comments Off on Big Reds and Nice Trout! Mixed Bag on a Windy Day! Mixed bag of hybrids, largemouth, black drum and lots of small trout today on the intra-coastal waterway! Posted in Fishing Charter Pictures	| Comments Off on Mixed Bag on a Windy Day!